25th December 1994 will always stick out to me, as it was when I was given a Mega Drive and Sonic 3 as a Christmas present. At that time, Sonic 3 had been out for a few months, with Sonic and Knuckles on the horizon, and I couldn’t stop playing. Reminiscing with the previous posts, I’m sure it’s the one game I constantly came back to, even when I received the PlayStation in July 1997. Always trying to find different ways of completing it, even having the save slots line up with one another. Even completing it with Tails, even though collecting all of the Emeralds did nothing, until you played him in Sonic 3 and Knuckles. When it came to the 10th anniversary, I remember going to Toys R Us and asking if they had Sonic Adventure 2 in stock, as June 23rd 2001 was its release date. They did, and as it was a Saturday, I remember spending the whole weekend playing it non-stop. I do wish I had kept that, as a copy of it on the Dreamcast can be as much as what I paid for it originally. The 15th anniversary passed by and I didn’t really notice anything. They announced a ‘reboot’ with Sonic ’06, but it was heavily criticised, with fans, including Sega, seemingly cutting all ties to the game. Very buggy, the story didn’t make any sense, while there wasn’t much ‘fun’ about it. There’s been a long play of the game by YouTuber ‘Nerdcubed’, which has been very good at seeing just how bad the glitches are. The 20th anniversary was when Sonic Generations came out, and it was the first game I had pre-loaded onto Steam, waiting for release day. Booting into Windows 7 on my then-MacBook-Pro, it was great to replay zones that had been remade, such as Chemical Plant and Sky Sanctuary. I was hoping for expanded content in the way of more zones, but unfortunately this wasn’t to be, so mods would only suffice with levels from Sonic Adventure 1 and Sonic Unleashed being made to slot in to the game. With the 25th anniversary today, it’s a series that has, amazingly with its pitfalls in the past, such as its last released game, Sonic Boom, seemingly achieving worse than Sonic ’06, still going strong. To me, a lot of this is to do with nostalgia. 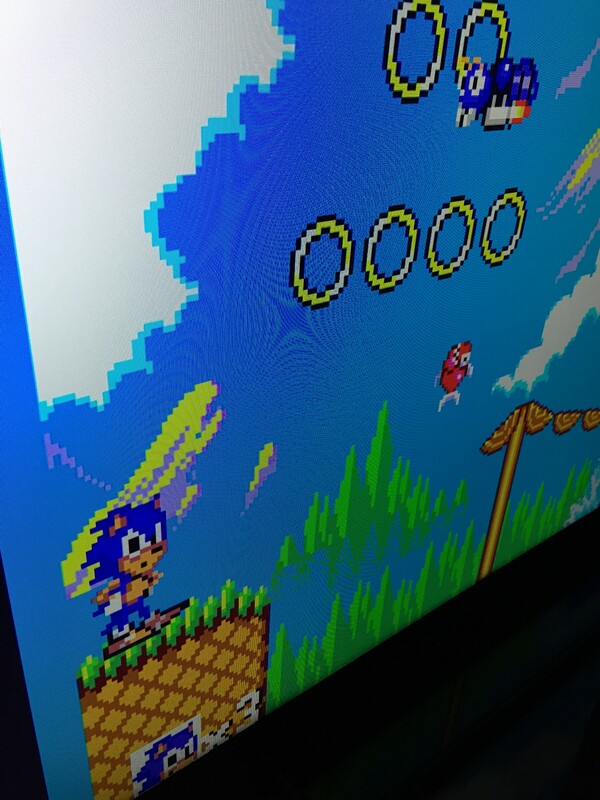 The remastered versions of Sonic 1 & 2, alongside Sonic CD, helped keep the idea of the classic games fresh in minds of players who had them has a kid, while introducing them to newer players. For the future, this is what I’d like to see. I’d love for an actual Sonic 4 to have the style of the first three games, while making it, just fun. Even borrow the story of the ‘evil Super Sonic’ from Sonic the Comic, a game where you’d be racing against one another perhaps, with time travel to be reintroduced from Sonic CD, but have the style of the hack I spoke of on Tuesday. Where the art styles change to mimic the time of when that particular Sonic game was released. Playing Sonic 4, followed by Episode II, was such a disappointment. They were essentially remakes of the first two games, and not very good ones at that. It didn’t bring anything new, while the graphics were more reminiscent of Sonic Adventure in 2D, not Sonic and Knuckles. It’s a brand that has the challenge of catering not only to fans of today, but also fans from 25 years ago. But Mario has been able to juggle this well for so long, people have asked; ‘Why hasn’t Sonic?’. To me, it’s about consistency. There’s always been a team in Nintendo, who have been able to control how Mario plays, works, in every game, while Sonic has been thrown around by so many teams within Sega, they’ve really had no idea how to maintain a successful brand. While any quality of the game in how well it plays, has always been thrown out the window, especially with games after Sonic Adventure 2 was released. Only now I’ve seen that they’re trying to right the wrongs of before, with a great social media presence on Twitter, while trying to reinforce the fact, that they are listening to fans. I look forward to what they announce next month at ComicCon, the hype has felt as long as 25 years in what they may be announcing, but I’m hopeful for what the series can bring to young and old fans. Special Stage 3 – Sonic the Comic.